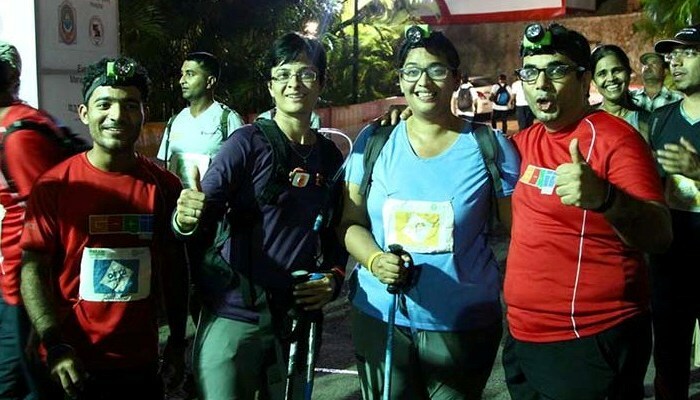 Vandana with her team after the successful completion of her 2nd 100 Km trail walk in Nov 2015. Nobody better than her can prove that small steps can have a big impact. From being a bookworm all her life to walking 100 km for charity was the biggest high in her life. And since then it has been long before she has been walking her way to health and fitness. As of now Vandana Trivedi has completed two trail walks, has a regular fitness regime, treks regularly and also is going for a seven-day climbing course to the Himalayas. While someone who is as active as Vandana would seem a perfect match for a GOQii device, she didn’t start wearing one until a year ago. Vandana’s story in her own words. I metamorphosed just a couple of years ago from being extremely inactive to becoming active. I was introduced to GOQii by my friend Harpreet and I did my first 100 Km trail walk when she suggested we walk one for charity. Initially, GOQii for me was my gateway to this 100 Km charity walk in December 2014. To my utter amazement, I successfully completed the 100 Km. I just loved it—the atmosphere, people cheering for you, and crossing the finish line felt so great. I was so sore after that I could barely walk the next day, but I loved the way I felt. 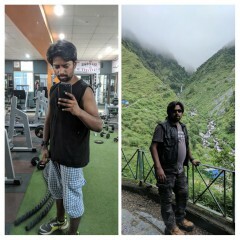 That was the start of me believing that I can do much more than just gym training. The success of the 100 KM led to a clear shift in my overall confidence and I felt nothing was impossible. 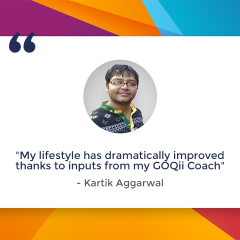 GOQii has brought about a major transformation in me, from the perspective of being fit and healthy. Prior to GOQii, I was happily inactive. As a child, I would never like to step out of my home. Given a choice between playing a game in the outdoor and reading a book. I would choose the latter without a second thought. I would dread the PT (Physical Training) period in school for the simple reason that they would make you run and do exercises. But then, all this changed for me for the better. 100 KM trail walk was a personality altering, life changing experience for me, and has been a means to prove to myself that someone who had nothing to do with fitness /physical activity as a child can end up being called an Ultra Marathoner if you want it badly enough. During my first 100 Km trail walk, I saw immense value in one- to-one coaching. I also had this huge issue of acidity. While I was aware of my problem, for some reason the issue was not getting solved. My GOQii coach then recommended that I have plain lime juice 3 times a day. Lime is also acidic and when that gets into the body it becomes alkaline. That was a good advice I got from my coach and it has helped me immensely. I have gotten over my acidity problem. Now when I go for meetings I order a plain lime juice. I also got help in improving my nutrition and sleep. 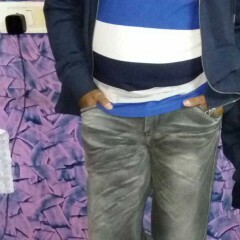 Ever since I came on the GOQii platform, I have become a great advocate of GOQii. I lead a sales team in an asset management company. Rather than taking clients on foreign junkets as client engagement, I decided to follow the health route and gifted everyone a GOQii band. We engage with our clients through active Sundays. 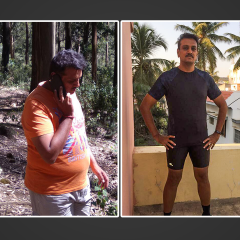 We do small things to keep them active and the feedback I have got from my clients is that it has made a significant difference to their lives. In fact 11 of them even participated in the 100 km trail walk in 2015. For me, this is like a payback to good health. My ambition is to get more people on GOQii platform. Personally, I have become so active that today I climb 10 floors daily and three days a week I have a personal trainer with whom I work out. Two Saturdays a month I go trekking as I am part of a trekking group. Without having something to work towards, you can’t plan or dream of what you’re going to accomplish. As my activities slowly and steadily increased I realized I wanted to aim for something big. I wanted to push myself further. So why not test my mettle with a climbing course in the Himalayas. I have signed up for a seven-day climbing course in Himachal and currently, I have been training for it. I will be leaving for my course soon. But, I would say, the goal doesn’t have to be huge, it can be to walk 10 km a week, start small but, stay focused. What does Coach TejalGupte have to say about Vandana Trivedi? Vandana has been my player since May 2015. She has always been a self-motivated and determined person. When she joined GOQii, I could see her as a person who knew the importance of workouts and balanced diet for good health and was leading a quite healthy lifestyle to achieve this. She has always been an adventurous person who loves trekking. According to her trekking is her motivation to stay fit and be regular with workouts. Her only major concern when she joined GOQii was stress and long term acidity. And hence, we started working on these goals immediately. Meditative yoga and deep breathing were incorporated to the routine to help knock off the stress and small frequents meal along with lemon water post lunch and dinner was basically targeted to help curb the acidity. She was very open to adding healthy changes in her existing routine and adapted to them very well. Along with this, we also focused on daily workouts, for which I also threw a couple of workout challenges to her. Then November 2015 she did her 2nd 100 KM trail walk and successfully completed the walk in 39 hours.